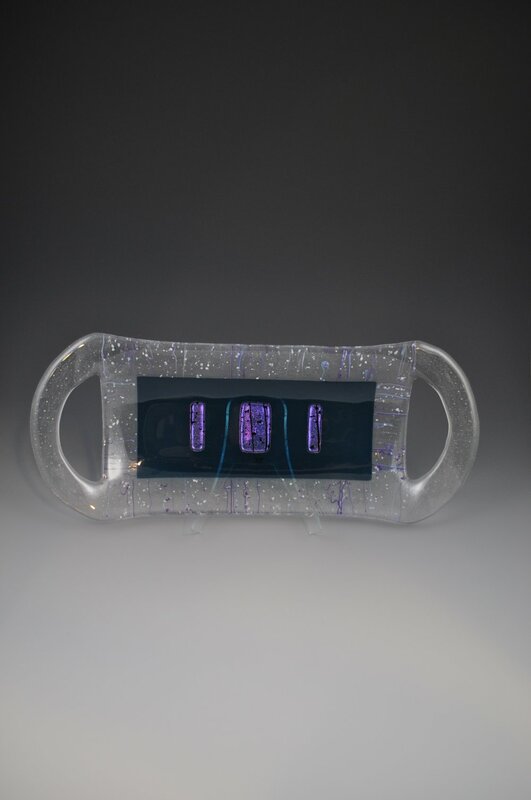 These dichroic glass trays were individually designed to make a statement to your home decor. The glass is hand cut, shaped and composed in 3-Dimensional layers and then kiln fired to approximately 1500 degrees Fahrenheit. Next, the fused glass design is fine tuned and the piece is re-fired in one of my pottery molds i created specifically for my glass trays.